A few years ago I developed an egg allergy. It's not horribly severe, I can still eat cookies or a piece of cake (and a slice of quiche won't kill me), but if I tried to chow down on some breakfast eggs, it would not be a pretty sight. This makes brunch a really sad meal. I look mournfully across the table at all the gooey benedicts, shakshukas, and huevos rancheros, while I drown my tears in bottomless coffee and order another bloody mary. WOE IS ME. 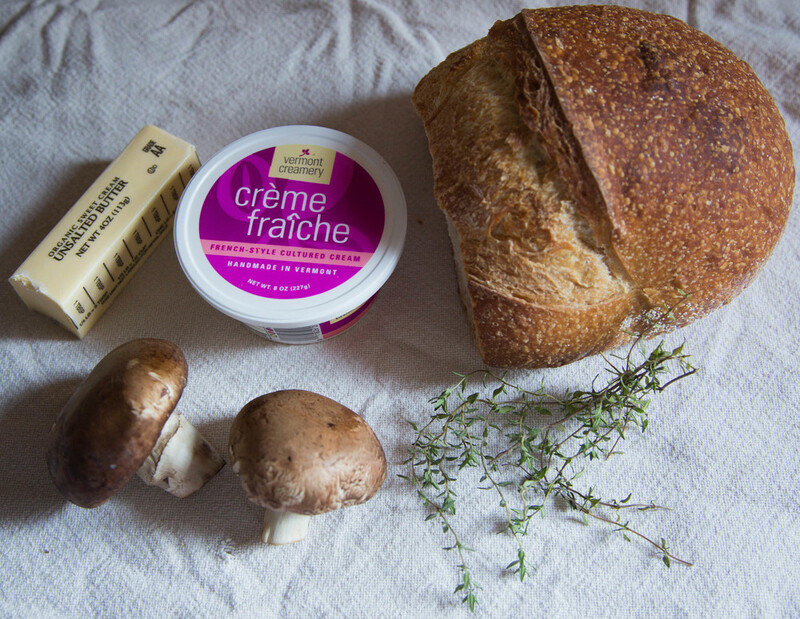 But not all is lost because I can still eat mushrooms, butter, toast, and a large dollop of crème fraîche with my coffee and feel like I just conquered the morning. 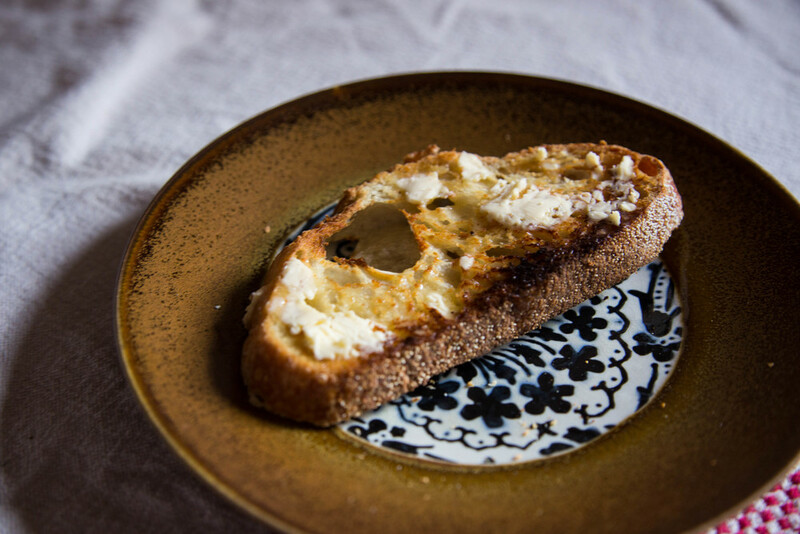 This meal is rich, creamy, warm, and comforting, so great for cool winter mornings. Really, it's perfect at any time of day or night because it's so fast and simple but still incredibly satisfying. If I were able to digest eggs, I might scramble some up to go with this? And when I have winter greens lying around, I'll sometimes sauté them up with the mushrooms and add some garlic. Slice the mushrooms. Heat a knob of butter in a frying pan on a medium high heat. Sauté the mushrooms in the butter, add thyme leaves, salt & pepper. Stir constantly until cooked through (approx. 5 mins). 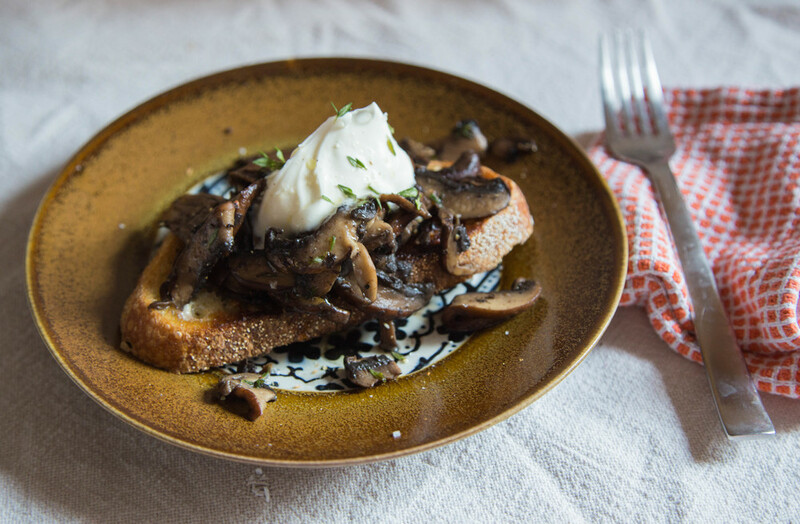 Toast and butter the sourdough and top with the sautéed mushrooms and a big dollop of crème fraîche. Garnish with a few thyme leaves and eat immediately.